Once again, life writes stranger stories than any fiction would invent: Maurice went to pick up some of his files that he had taken to France for safety. But: his house was squatted, the squatters had used his antique furniture as firewood and his attempt to complain to the ‘gendarmerie’ resulted in him being arrested – with the intention to lock him up in a mental hospital. 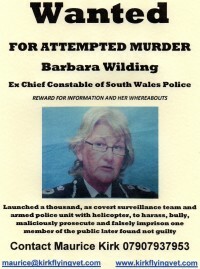 organisations always outlive individuals who die away, proud to have fought, but without any justice or compensation. the system always errs on the punitive side. the pretence of ‘fair and just’ is a complete farce, given our experiences. The only way out seems to be an amnesty / jubilee, with the Government as Compensator of Last Resort. For the only ‘justice’ is the conscience of the perpetrators who also will have to relive what they did when they die… There is a great account of a near death experience by Anita Moorjani who wrote the book Dying to be Me as a result. 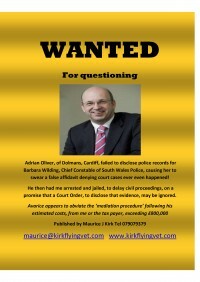 This entry was posted in Access to Justice, Law Enforcement, Police, South Wales Police and tagged Antique furniture, Arts, Ban (title), Brittany, Crime, Crime and Justice, David Cameron, England, European Union, France, Leanne Wood, Near-death experience, Norman Scarth, Plaid Cymru, Psychiatric hospital, Shopping, Squatting, white collar crime. Bookmark the permalink.